FLAREON CANVAS PLUSH WILL COMPLETE MY EEVEELUTION CANVAS COLLECTION! Eevee + Eeveelution & Vulpix Poke Time Charms. 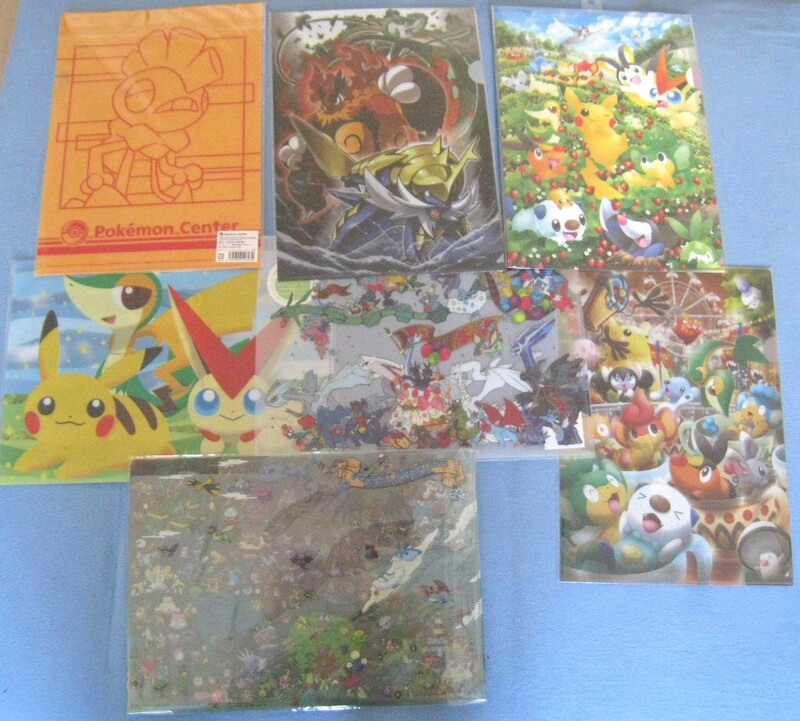 I'M INTERESTED IN BUYING... Eevee / Eeveelutions / Absol / Pikachu / Kyogre / Suicune / Celebi / Lucario + Latias/Latios Related Items. 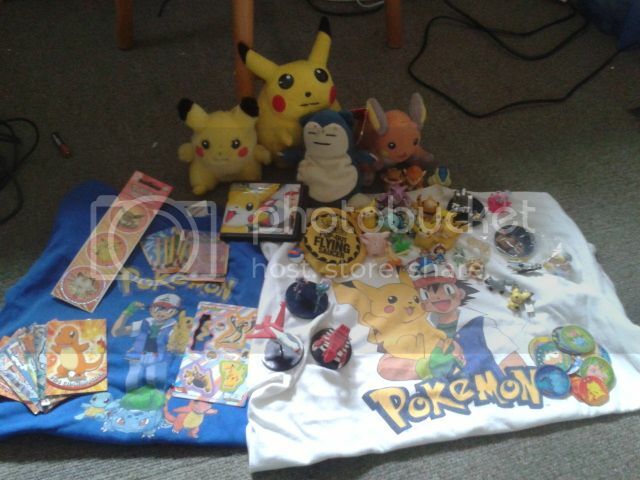 FLAREON CANVAS PLUSH FOR $110-$120-ISH DOLLARS SHIPPED & PIKACHU TSHIRT FOR - ??? 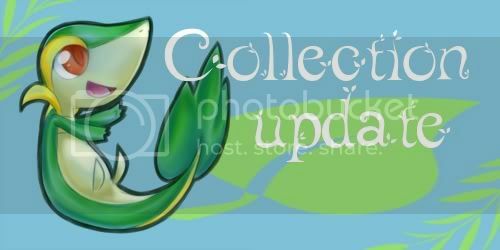 & Latias/Latios Pokedolls Minky - $20 EACH or Cute Vebola FOR $15 EACH OR $40 & $30 FOR BOTH. 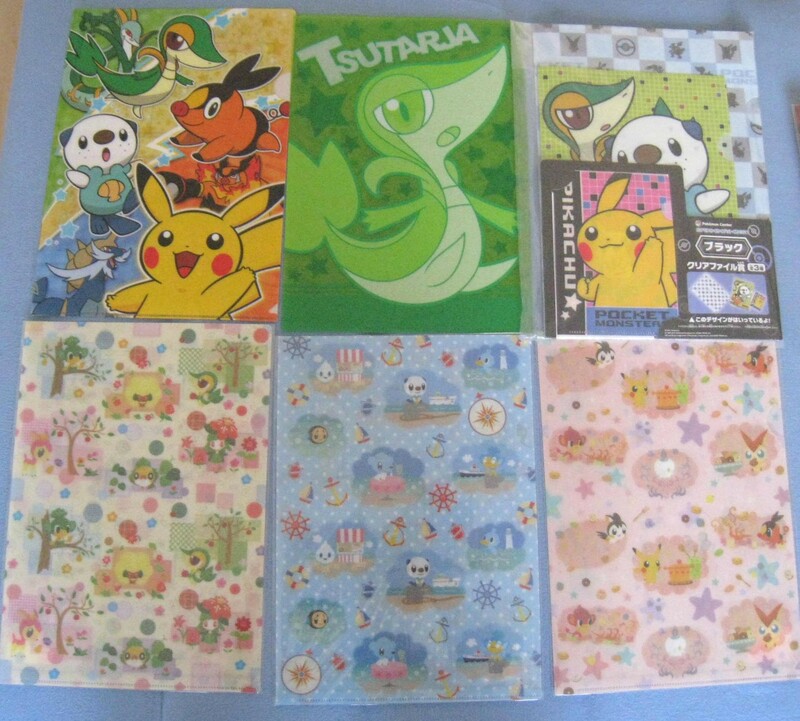 ECTT..
Eevee Walky Umbrella & Glasses Case..
Pikachu Walky Glasses Case & Stickers..
Kyogre Gameboy Advance SP + Case/BAG thingy that comes with (NEW CONDITION) - $150-$200? A new member would like to introduce herself. I'm Dialny, but more commonly known as Betulina, Windy and Near. Or even Tuuli, if you know me in real life. I'm a finnish lady and in my age people normally wonder what kind of toys they should buy for their children, not for themselves. :D I have loved Pokemon since the first generation, although there were times when it wasn't such a big thing for me. Sadly most of my childhood figures were sold during that time and now I have to start my collection from scratch. I have been following this community for some weeks now, and finally decided to make an account and join a couple of days ago after seeing some eeveelution pre-orders I just couldn't miss. I probably would have joined anyway at some point though, because this seems to be such a friendly community, that I just want to be a part of it! Thanks for reading. It's nice to meet you all~! Oh gosh .. I was so happy to see I was accepted into the comm, after being a lurker for so long. I've been a fan of pokemon for a while now, (since Gold/Silver released? Aahh I can't remember!) 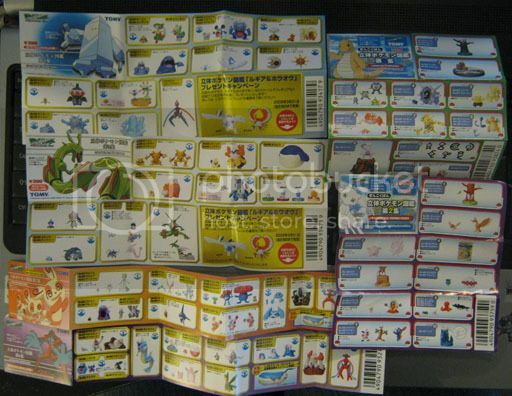 but I never heard of things like Kids, or Zukans, or UFOs, well, until I found pkmncollectors! 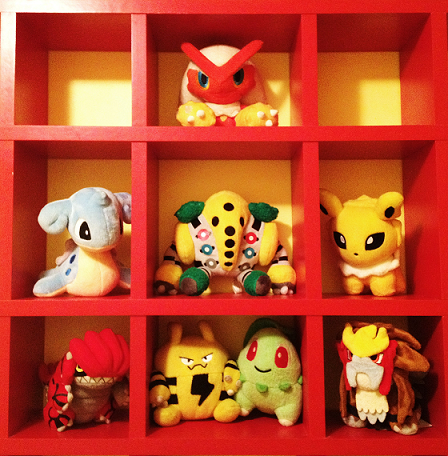 Recently, I decided that I'd try to collect as many pokedolls as possible. I've recently purchased around 20 in the last monts, and I'm very happy with it so far! :D Many of them are on their way, though. Hey! My auctions for OOAK Bell Plush of Shiny Ninetales, Shiny Lampent, and Swadloon along with TWO bell plush commission slots and other goodies will be ending tomorrow (Sunday) at 6:00 PM CST! Please check them out if you haven't already! Wa! Welcome to "Beans, Beans, the Magical Fruit" GA! Hosted by roxiired and co-hosted by ME! THIS WILL INDEED BE A GROUP AUCTION!! BID AWAY!! ALL OF THE BEANS ARE START AT 1. GO FORTH MY CHILDREN AND CLAIM YOUR BEANZ! I've decided to put the majority of my sales items on eBay as one big lot because I need to clear out my room and these guys have got to go. Theyre up there on a week long auction. Please have a look. The GA has already arrived at toda's! :D Which means it's time for shipping payments. Everyone got their money in super quick last time, so thank you for that. <3 Let's get this done just as fast. Please note - toda is currently on vacation this week, so shipping will not be done until next Friday/Saturday (7th and 8th). Edit: Made a mistake and forgot to add PP fees onto the spreadsheet. Everything's fixed now. Large Chibi Stamp GA--WE WON!!!! We WON!!!! and with a sizable discount. gothybeans will be posting a payment 1 thread in the next little while, so PLEASE keep and eye out and be ready to pay! Work has been keeping me busy but I'm still collecting here in there. I found out I was a closet Virizion collector. He's pretty much a legendary version of Breloom. Same color scheme, the only two with the grass/fighting type combo and similar features. How could I not fall for him? 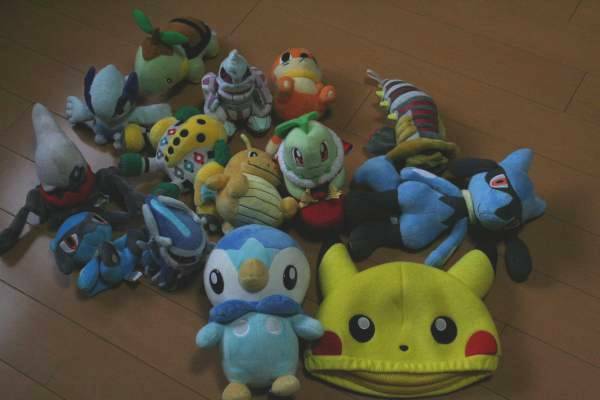 I decided to collect only the pokedoll, kid, zukan, plamo and tomy figure. I was surprised how small his pokedoll was compared to the legendary dogs. So much detail in such a small plush. The zukan I was very pleased with. I've noticed every single BW zukan set had poor paint jobs and I don't really like the clear blocks for the substitution of the pegs. But it works well for Virizion, he's the first BW zukan that I own that truly felt like the past gen sets. Great mold and the face is nicely painted. My Norman/May Collection page has been updated on my collection website! I just completed Norman's Emerald teams in kid form! And would like to do so in zukan form. Which means a quick want post. Aaand lastly! I found a bunch of zukan inserts from old GAs I've hosted over the years - would anyone be interested in some of these? I have duplicates of most of them - you can click here for a bigger version. I'm back from the Pokemon Center! I managed to pick up almost everything you guys wanted. :> I have totals for payment and info about the results under the cut! These fuzzy little guys are indeed 4" long and are made of soft yellow fur, with claws/feet made of fleece and hand painted beads for all four adorable eyes. I am selling them for $40 before shipping/handling, and the shipping for them shouldn't be horrendous as they don't weigh much! Click here for more pictures and info. If Joltiks aren't your cup of tea, I am also accepting custom commissions! I can make any Pokémon as well as human characters, original designs, and characters from other fandoms. Click here or the below banner for more information! So McDonald's in the US are having a Pokémon promotion starting June 15th, as I'm sure most people have heard! For those of you that don't have the promotion but would like a figure and card, look no further - I'm doing pick ups for you guys! Each figure or card is $1 regardless of choice - I WILL separate toys to ensure everyone gets what they want! Shipping and fees is a flat $5.50, so one toy or card is $6.50 shipped plus $1 for every additional toy or card! Just let me know what you want - a specific figure or card - and I'll put you down! If you would like more than one figure/card, tell me and I'll adjust the total! I will definitely bring more information as I find it! 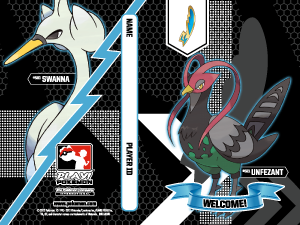 Due to the awesome raz2b, we have pictures of the Woobat and Axew cards! If you're looking for JUST a specific card, take a look HERE! Thank you afrokid001 for a photo of Pansage! From a photo of the Australian promotion, it looks like Pikachu is the only launcher while the rest have MOVEABLE PARTS! CLAIMS ARE CLOSED! THANK YOU! 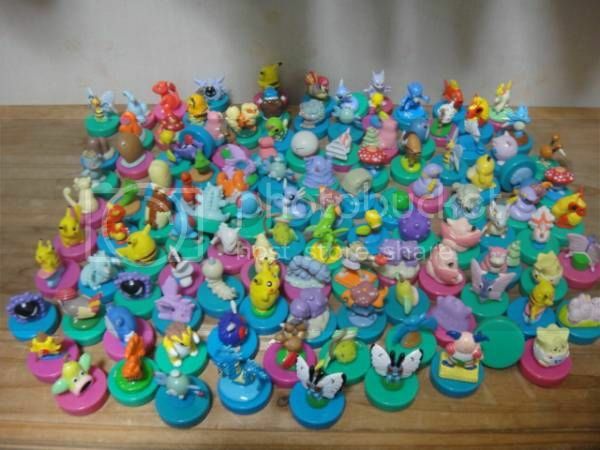 I found a huge selection of Jakks Pokemon figures at my local Dollar Store today! They were 3 bucks a package, which is still a really good deal. While at the time I was practically foaming at the mouth when finding/buying them all, it concerns me a little because shouldn't these figures be sold at Wal-mart or Toys R Us? Anyone Doing Pickups for These? And Wants! I just graduated from high school yesterday, so you all know what that means: grad money! I got a good chunk of change and I want to buy dancing plush! They prices on ebay are way too high, Ranging from $50-$90 each, so I was wondering if anyone could pick them up for a cheaper price? I'd prefer to get them from the same person if possible, but I will buy them separately too if I must! I'm looking for all of these! And maybe the Snivy that turns when you call it too. And I'm looking for things off my wants list as usual! It's not on the list, but I am still looking for Pichu Bros. merch too! 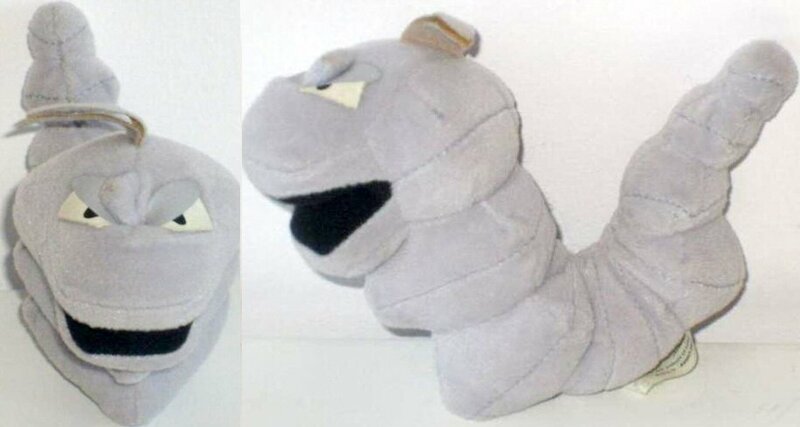 The Hasbro Beanie Onix. Any idea? It seems to be quite rare. 3. 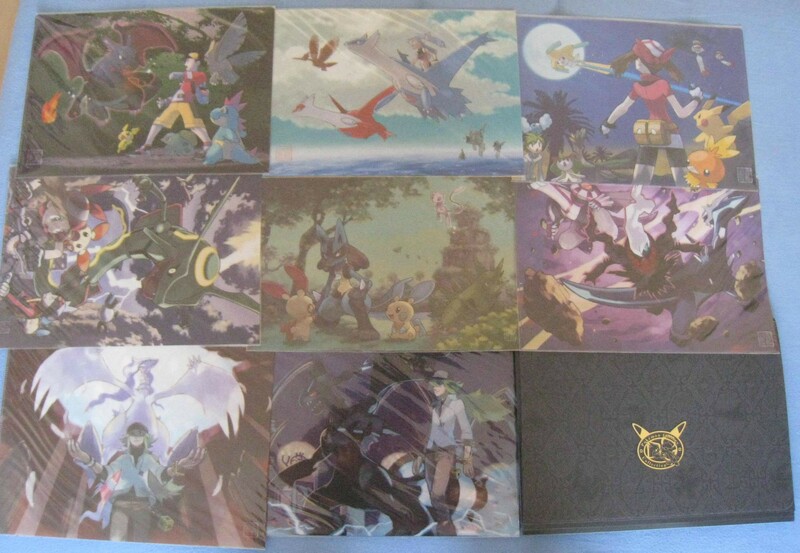 Thinking of selling my Zorua collection. How much does the Zorua Sukui doll run for these days? I bought one back when they up for sale early 2011 I think, and I haven't seen them around since. 4. What is the value for clear Milotic kids? I have one - and I've never seen another one since. I'd just like to know for personal collection value sakes. Hey guys, after all the delays with the shipment which i really could not control, the virizion kids set has arrived (Im sorry it was more than a month's late!) But anyways, I did get 2 boxes of it. Lastly, I have picked up the MPC Set from my local shop. I finally got my double scoop vanilla Ice cream XD Similarly sorry for the delay but its due to the change in the shop's shipment which was unexpected. If you ordered the following Pokemon from me, I will be mailing out your MPCs next week :) Swadloon, Frillish (Pink), Durant, Vanilluxe, Sawsbuck.